We looked through options at a variety of price points and picked our favorites based on graphics, ease of setting up, comfort, price, and accessibility. Pros: Although it says Google on the box, you can use any smartphone with Cardboard. The Go offers an experience that does not require a PC or a smartphone. 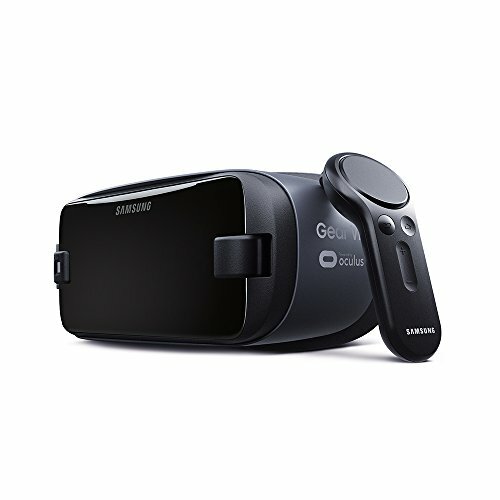 And speaking of games, the Gear VR gives you access to an expansive library powered by Oculus. And with a separately sold Gear 360 camera, it’s easy to create and then immerse yourself in your own 360-degree video. Pros: Typical from Google, the Daydream can work with a variety of Android-based smartphones, and it supports more apps than higher model VR sets, like Youtube, which has plenty of VR content. If that doesn’t matter for you, there are hundreds of videos and apps to play with, but if you’re looking for a more immersive gaming experience, like Beat Saber, then you’re better off looking at a gaming VR set like what the Oculus can offer. Pros: Full immersion. Cons: Unfortunately the PS VR requires a PS4 camera. If you don’t get the PS VR bundle with the camera included, you’ll have to make another purchase. Virtual reality feels like some kind of ’80s fever dream about the future of tech, but it’s here to stay, with more and more games, movies, and even live sporting events available on VR platforms. But the experiences vary wildly depending on the headset you have, from simple models designed to hold smartphones to more elaborate options connected to powerful gaming PCs. The boom in headsets, in fact, has created a glut in the market — and now choosing the right one goes far beyond choosing the only one available. We looked through options at a variety of price points and picked our favorites based on graphics, ease of setting up, comfort, price, and accessibility. Whether you want try VR for the first time by strapping your smartphone into specially designed goggles or get the full immersion experience with PC-level power, there’s a well-reviewed headset on this list that’s perfect for your needs and your budget. As a starter kit, especially for younger kids, the Google Cardboard is likely your best VR headset option. It’s cheap, easy to use, and there’s a DIY element when crafting together the headset thanks to Google’s instructions. If you’re not too sure how deep you want to get into VR, the Cardboard will serve as an introduction. Pros: Although it says Google on the box, you can use any smartphone with Cardboard. It is a better experience on Android, however, with more than 30 compatible apps in the Google Play store. The process of setting up the headset is a fun experience. Plus, it’s really affordable. Cons: This is basically a cardboard holder with some lenses, so the graphics are limited to your phone’s resolution. If you’re looking for a truly immersive experience, this is not the right device for you. Plus, it’s still cardboard, so durability will definitely be an issue, especially if multiple members of the family are using the device. The Oculus name has been synonymous with VR since 2012. The company has released two headsets in that time, and they’re both really good. The Go offers an experience that does not require a PC or a smartphone. It’s a big step to bringing VR to a global audience despite the limited two-hour battery life. Pros: No cords! The Go is also Bluetooth friendly and can pair with various controllers, including the Xbox One controller. And if you don’t want your kids tripping over the furniture when they’re traversing the Oasis, the Go is a completely sit down experience with no room tracking capability. Cons: Sometime this spring, a new Oculus headset will be released, the Quest. It’s already promising to be completely wireless (again) and it will not require a PC (again). You may want to hold out until the Quest is released, but there’s no way it’s going to match the price of the Go.